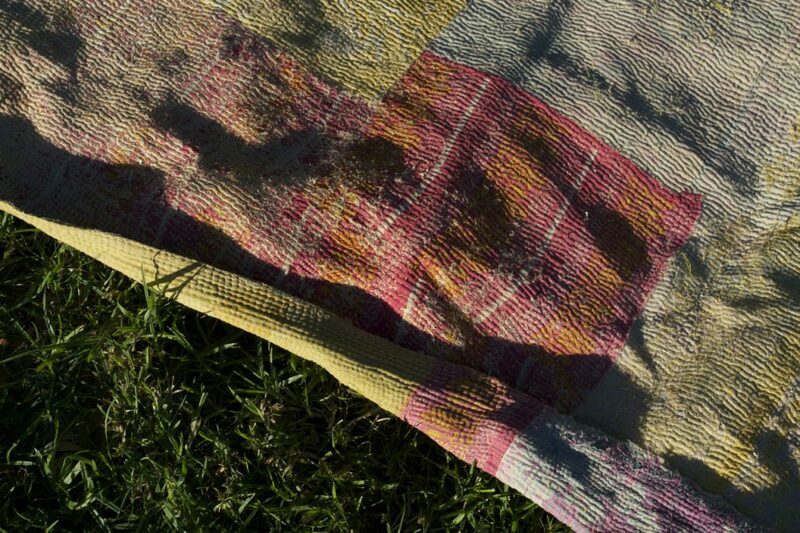 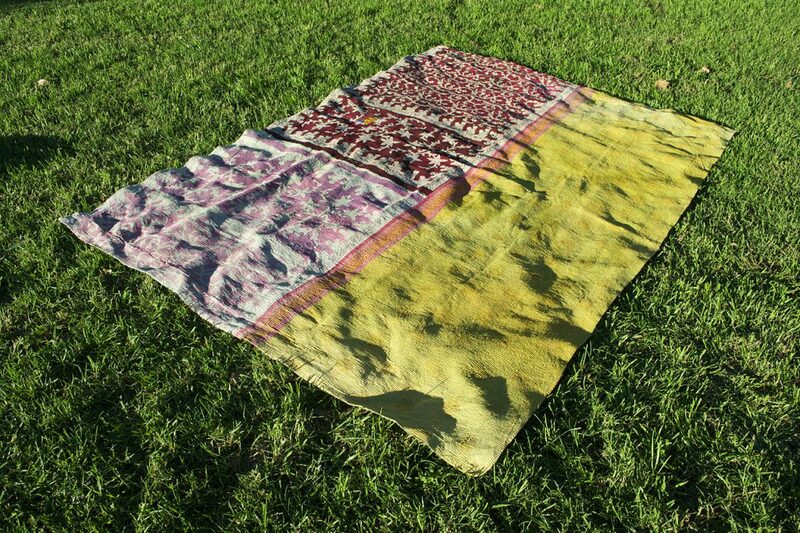 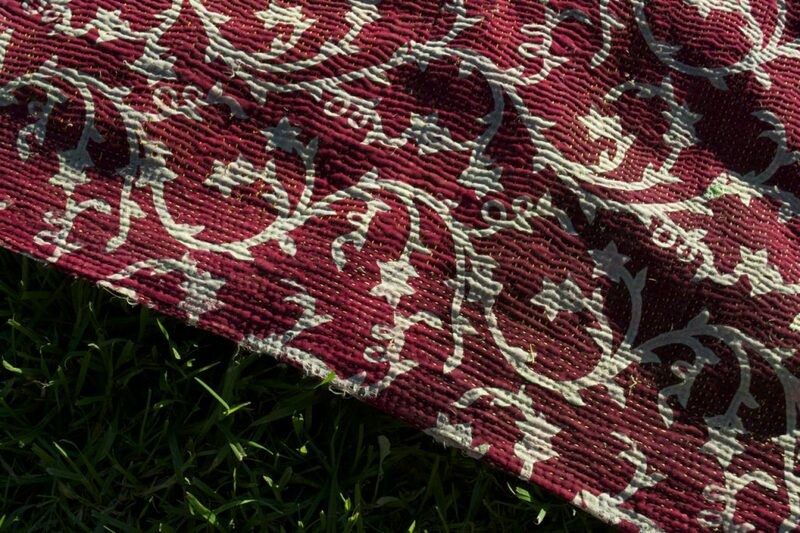 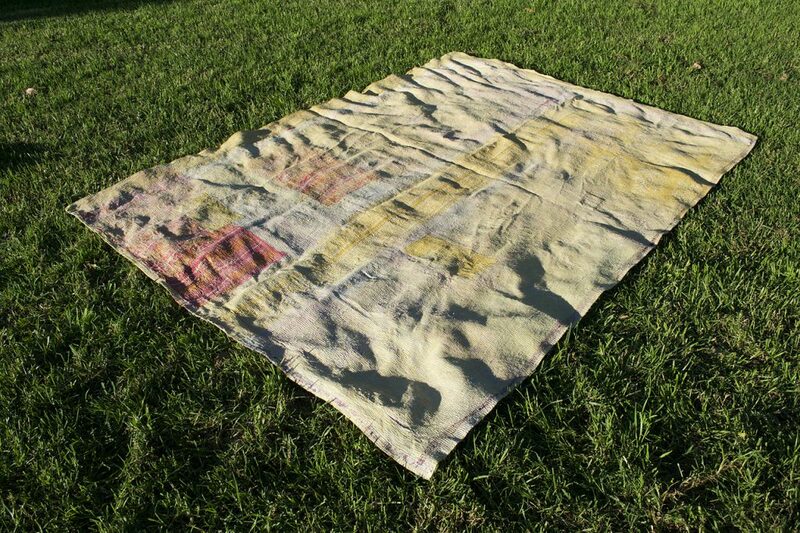 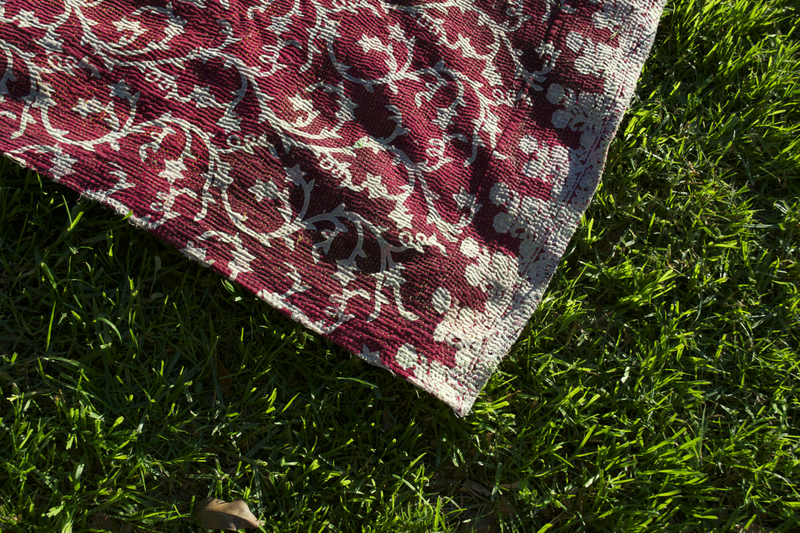 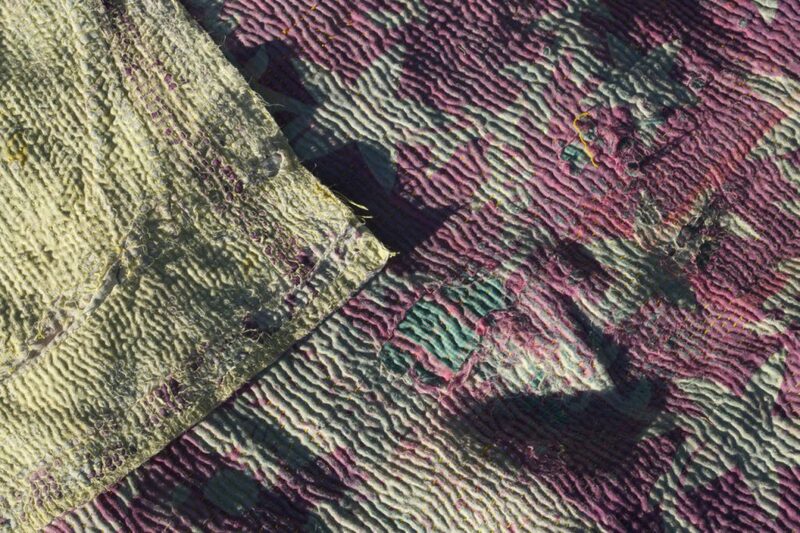 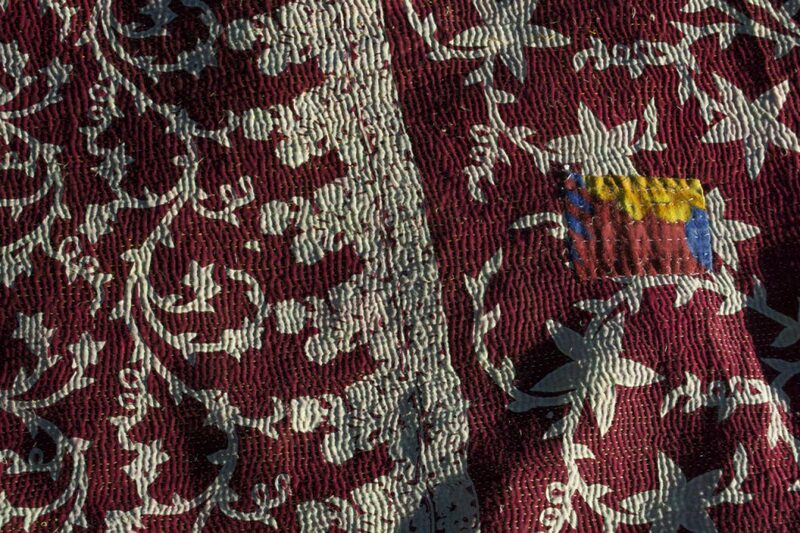 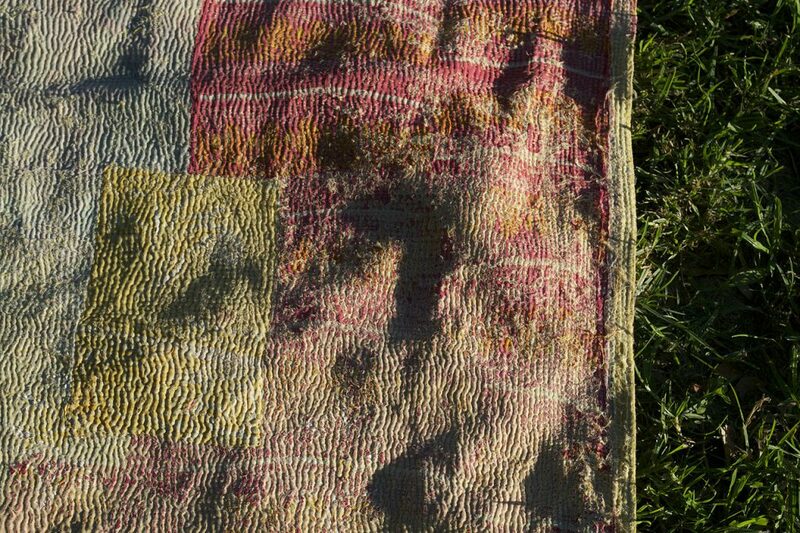 Another dream of a kantha quilt – over 30 years old, entirely handmade lovingly by Indian artisans. 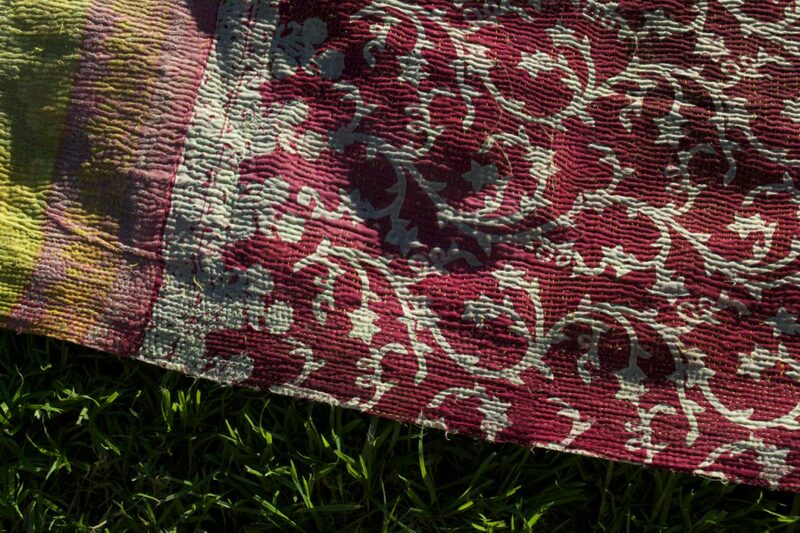 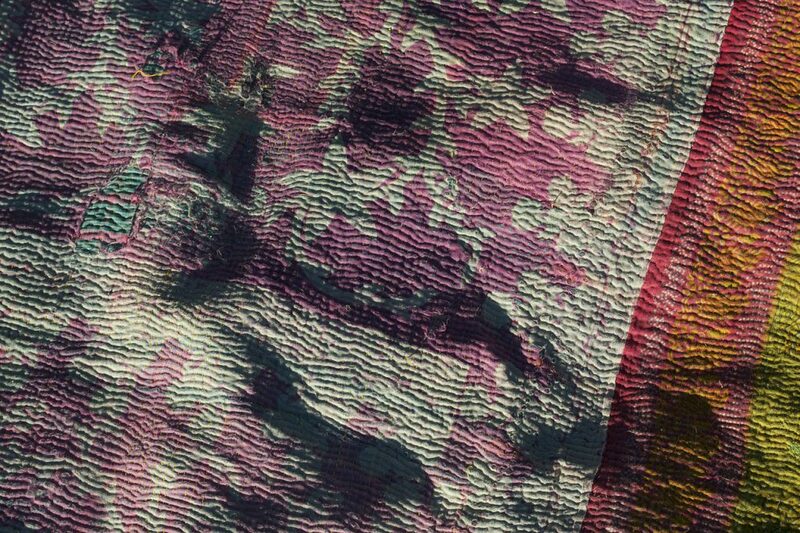 This wonderfully versatile Indian textile made from layers of vintage cotton saree has the sought-after disintegration in the saree layers, that create a masterpiece work of art, allowing the inner layers of colourful saree cloth to show through. 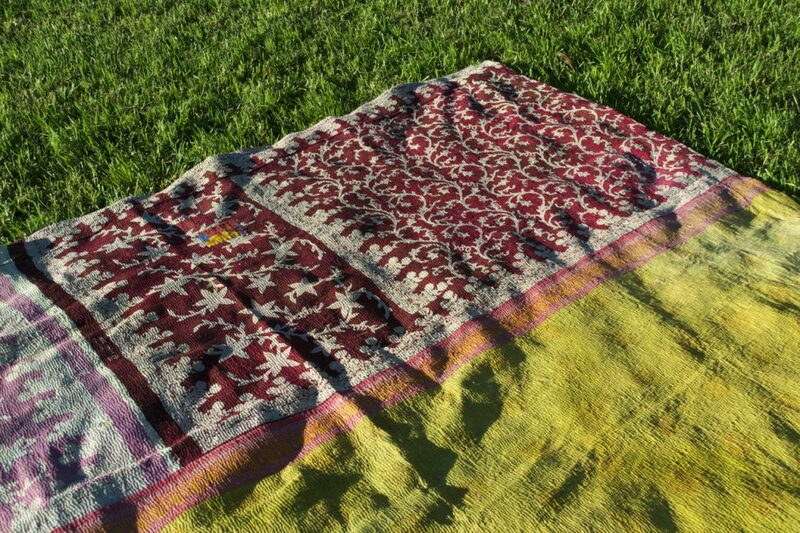 Perfect for rustic queen bedding, a wonderful example of Indian embroidery design made with floral vintage print cotton. 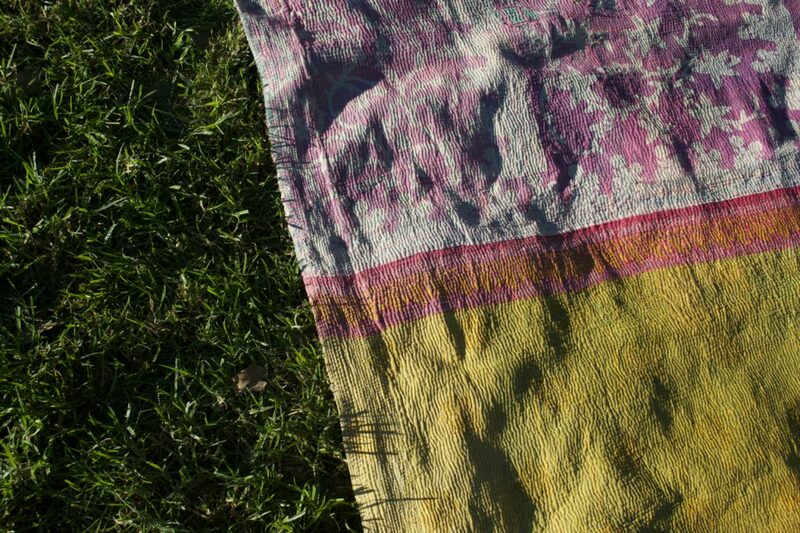 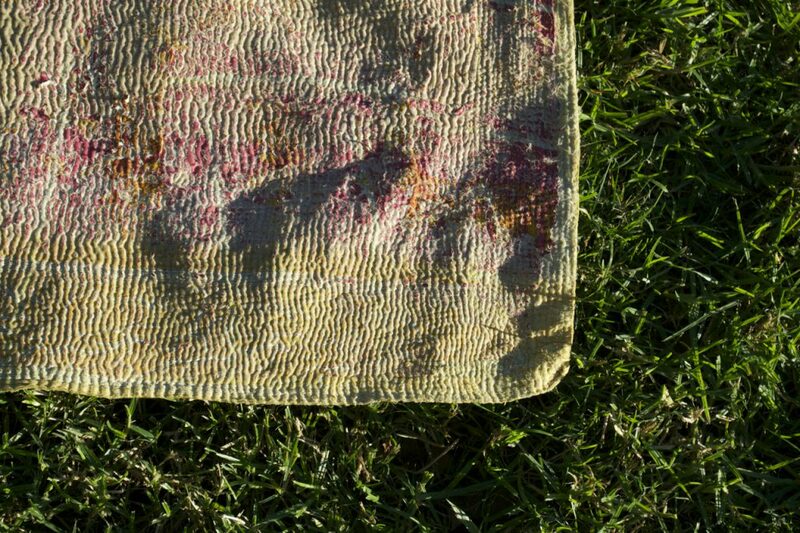 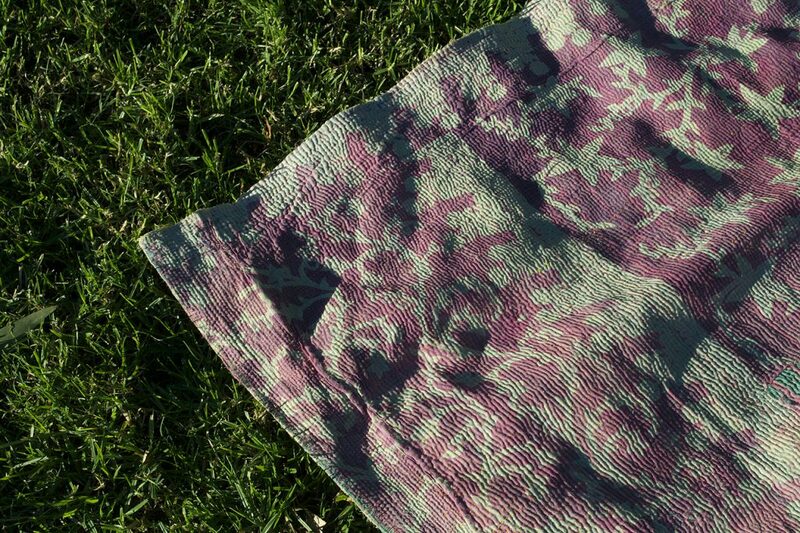 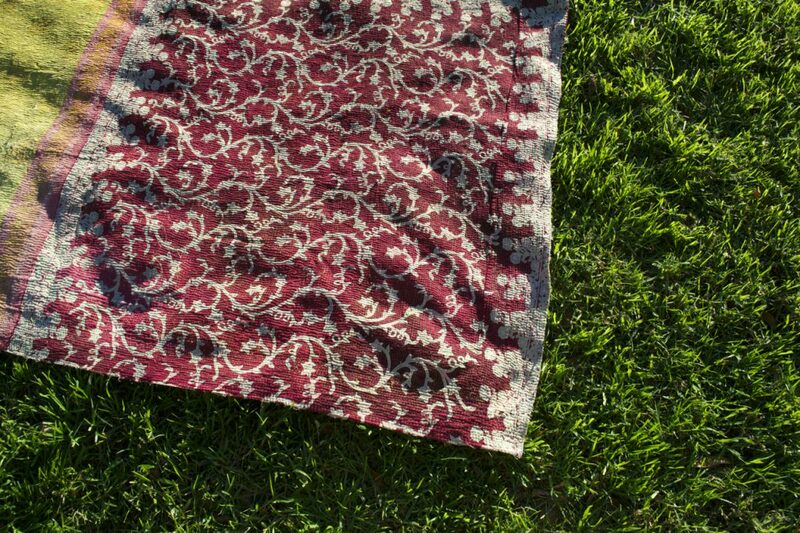 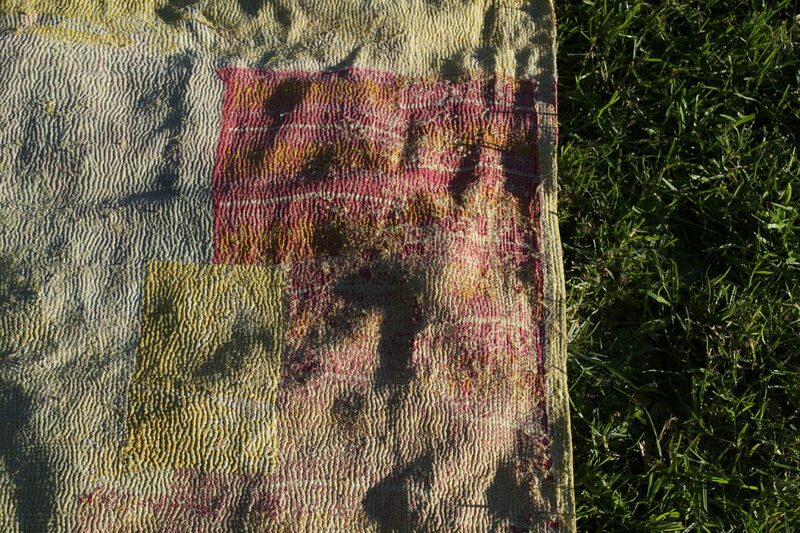 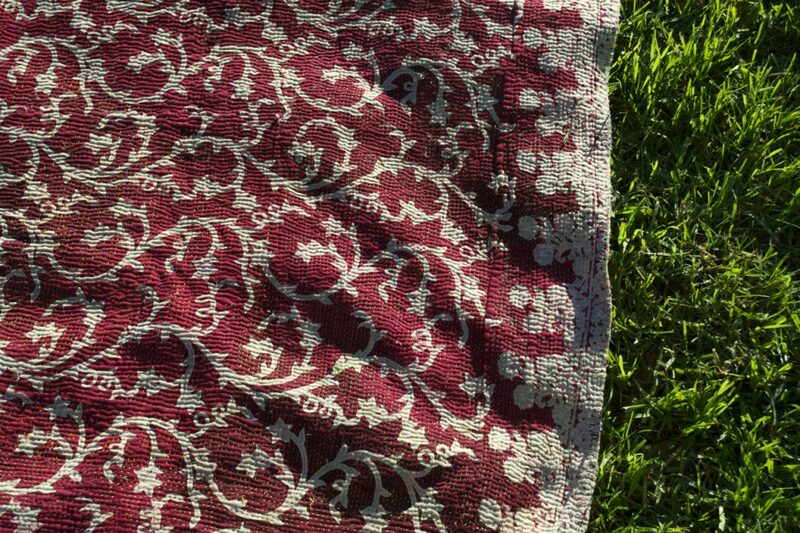 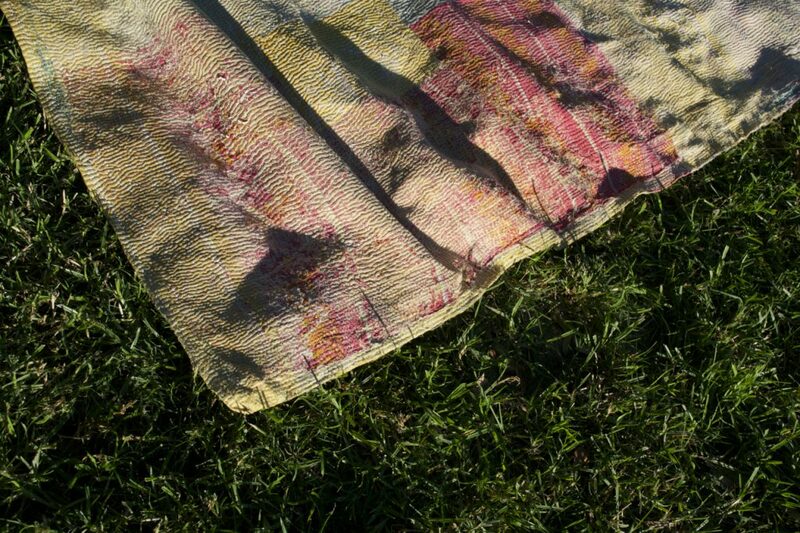 Available at The Kantha Project shop here.